Girl Connected — a powerful documentary film about five inspiring girl leaders from five countries around the world — took Koen Suidgeest and sound recordist Tjodi van Elk to Kenya, Peru, India, Jordan and Bangladesh. In this blog series, Koen shares some of his experiences from the making of the film. When I first spoke with Ghazal via Skype, she seemed to be quite a regular girl. She might be a little more colorful than most, but there is no typical life-changing message she seems to be delivering. In Peru, we dealt with teenage pregnancy, in Bangladesh with child marriage. But in Jordan? Ghazal paints walls and makes curtains out of bottle tops. My view changed when we landed in Amman and drove past the Dead Sea to Aqaba – a coastal town located on the Red Sea in the southern tip of the country – to catch up with her. Ghazal might not seem so different from my own teenage daughter and the girls she hangs out with, but in her country she is truly unique. Ghazal’s distinction is a visual one. This is reflected both in the way she dresses –with her colorful rasta hat instead of a veil to cover her head– as well as in her activities. She uses color to challenge people’s thinking, photography to diminish stereotypes, and she recycles to eliminate trash, both literally and figuratively speaking. Ghazal accomplishes all of this before a loyal group of thousands of followers on social media while involving other young women in her activities, all at no cost. Sometimes, activism is a matter of context. Jordanian women generally do not have a privileged place in society. Without presuming that I could ever be complete in my impression, the country struck me as a peaceful one amidst battling neighbors. There is a good vibe on the streets of Amman, and people whose curiosity got the better of them always welcomed us. But as Ghazal herself states, people are overly conservative in their thinking, and the life path of most women is more or less predictable. Although education is available to both sexes, ultimately there will be few surprises as to the role a woman will play in her environment. Culturally, it’s hard for people to think ‘outside the box’. What is remarkable is that she undertakes most of this alone. 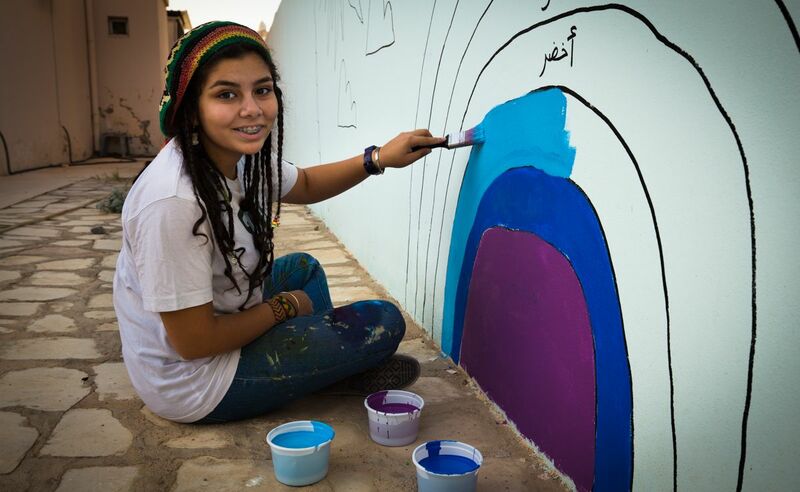 Outside of the Human of Amman photo project, there is no organization supporting her. Every time she undertakes an activity, she calls sponsors to donate paint, seeks out brushes and plastic cups, or passes by the local pizza place that is saving bottle tops for her. 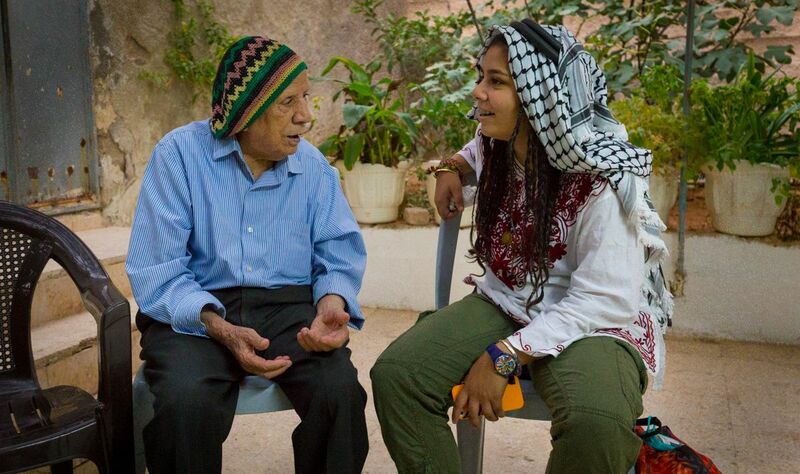 Her work represents a mere seed in what could become a stronger emancipative movement in Jordan. Ghazal challenges the perception of onlookers, the common people on the street, while involving other women in achieving it. However trivial her actions seem from the outside, I can’t think of a more peaceful, colorful and beautiful way of using creativity as a motor behind the liberation of young Jordanian women.